So how can you help Quota Carindale? Quota Carindale is one of the charity jars at Grilled Carindale this month! When you make a purchase you should receive a token, if you don’t please ask for your token as sometimes they are quite busy and may forget. Place the token in the jar of your choice, (Quota Carindale please)there are usually three jars to choose from and the jar with the most tokens at the end of the month wins $300. One of our ladies went in and was given a token, when she asked for extra tokens, they were happy to give them to her, it is worth the ask. 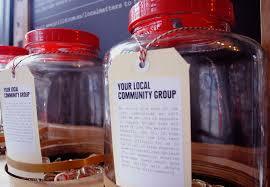 So come on everyone, the food is good and the more we purchase during April the more tokens we get to put in our jar. Please pass this on to everyone you know, we all have to eat. Tasty fundraising!